The LATA Foundation Quiz 2016 brought to you by Air Europa! 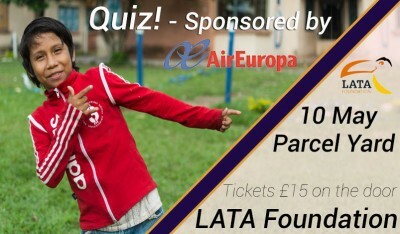 The time of year is upon us again for the annual LATA Foundation Quiz brought to you by Air Europa! Join us on Tuesday 1o May to pit your wits against other travel industry professional to win prizes including a pair of air tickets to Bogata.